There are a huge array of slant tipped tweezers on the market to suit all pockets so it can be daunting knowing where to start - which one's work well, especially if you don't want to break the bank! In this roundup, I have picked out some of the best that we have found, from the mid-range and budget end of the market​, covering various different design features. It would be impossible to publish a round-up of best tweezers without included Tweezerman products, and the Tweezerman Slant Tweezer is arguably one of their best. Tweezerman tweezers are manufactured in India from top quality stainless steel. ​The product has sleek and unfussy good looks and is available in steel or various coloured matt enamel finishes. Personally, I think the coloured coat helps give a lovely, comfortable feel and improves the grip. The tips are hand-filed and perfectly aligned so that hair can be grasped equally efficiently at either end, and there is no slipping in use. This together with perfect tension in the arms combine to provide a pretty impressive pair of tweezers, as testified by its various awards. ​ In fact, this product has won an Alllure "Best of Beauty" award for 14 years, amongst many other accolades. The Tweezerman Mini Slant is more or less a baby version of it's "big brother" the regular Tweezerman Slant. ​I found them to be just as efficient as the regular slant, if rather more fiddly to use due to the small size. These would not be great for anyone with grip problems or weakness in the hands. I don't think that anyone would actually replace their regular tweezers with these cute little things ​because they are fiddly to use, but for the purpose they were intended, they are a great product. They are available in several different colours with a shiny enamel coating or there is a steel finish version. At around $10 they are well worth the money if you are in the market for a convenient, easily carried pair of tweezers. Protective Tube - great for storage and safety - you don't want uncovered sharp tips in your pocket! Another slant tipped tweezer from Tweezerman - included because of the wide grip feature, which makes them a good choice for anyone with weakness in their hands or poor grip. They have all the key attributes of the previous tweezers, with the addition of a wide, oval cut-out to make hold and control of the tweezers easier. ​Personally, I love these little tweezers - I have mild arthritis in my fingers and do sometimes find that tweezers cause stiffness and pain if used for too long. Although not some magic cure for this, I do find that they are easier to use. ​They are a bit shorter than the regular slants, although not as tiny as the mini's, and are available in colour coating finish or steel. There is also a point-tipped version. ​The Tweezerman Professional Wide Grip Tweezer retails at between $15 - $20 - so good value for money when taking into account that a quality pair of tweezers, well looked after, should last for many years. These tweezers from Rubis are made in Switzerland from top quality stainless steel and have a sand-blasted finish to give them a lovely, satiny look and feel. The Rubis Classic Slant is a good quality tweezer and they retail at just under $30, so towards the top of the mid-range tweezer market​. There are several colours in the Classic range, made from the same, surgical quality steel but with a soft-touch coating. As you would expect from a product at this price, the tweezers are perfectly aligned, with hand finished, precision tips and with a tension that is just right, offering a gentle resistance when squeezing together. ​All in all this product, although not cheap, provides top quality and value for money. As mentioned previously, if well looked after they should last for many years. ​Revlon's Expert Slant Tip tweezers are at the budget end of the market, retailing at just less than $7. Considering the price, they are of remarkably good quality and have an attractive, embossed colour coating in a diamond pattern, giving them an almost crocodile-skin look. Manufactured in China, from stainless steel, the design of the arms widens slightly in the middle for a good grip. ​The tension on these tweezers is noticeably firmer than some of the others I tried - a matter for personal preference really, although I prefer the slightly less firm tension due to the stiffness in my fingers. Tips - not as sharp as some - experienced the odd "slip"
For the price the OceanPure Slant Tip is surprisingly good, and certainly exceeded my expectations, with their precise tips, good alignment and perfect tension. Manufactured in China, they are made from stainless steel with a sleek, steel finish and come complete with a little suede effect carrying pouch. 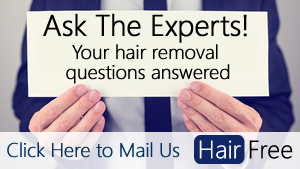 ​In use, I found them to be very effective, and I was able to grasp the hair and remove it cleanly each time. ​At the end of the day, if you want a decent pair of tweezers on a budget, these work well. Good Performance - for the price, couldn't be faulted. Well aligned and no slipping.